Agreeing on the value of a marital asset can provoke a significant amount of conflict between spouses getting divorced. Emotional attachment and differing opinions of financial experts are often the source of these disagreements, which can greatly complicate and affect the ultimate outcome of the case. Without an adequate valuation of assets, structuring a fair property settlement is essentially impossible, and can effectively stall the divorce process. While such difficulties are more expected with couples that have a variety of assets, even disagreements over the value of the family home can create complicated disputes. One example of a complex property division dispute involves a divorce that is about to break up one of South Florida’s largest real estate empires. Both sides are strongly divided about how assets should be allocated and how much some assets are worth, and want the court to settle the issue. A discussion on how courts approach valuation matters, and how parties can effectively present evidence to support their desired value, will follow below. Determining which assets to accept in a property settlement is much more than looking at raw numbers. There are important additional considerations that indicate if a particular asset is good for short- or long- term financial security, such as liquidity, the cost basis, and the tax implications upon transfer or sale. However, one major factor that must be settled before evaluating the advantages and disadvantages of particular assets is whether the property qualifies as marital or non-marital. Marital property typically includes anything acquired by either spouse, both jointly and separately, during the marriage, including income that was deposited in a separate account. Marital property encompasses both assets and liabilities, which are subject to division under Florida law according to the arrangement that is most equitable or just under the circumstances. However, in most divorce cases, each spouse usually receives approximately 50 percent. Non-marital property is considered separate and not divisible. It includes property owned before the marriage, as well as gifts or inheritances received during the marriage. Complications arise when marital and non-marital assets are commingled, making it difficult to determine how they should be identified. For example, depositing non-marital funds in a marital bank account, or contributing marital money to a non-marital asset that increased in value, would both impact how the property is classified. Depending on the type of asset and how marital assets were allocated to its benefit, property that initially was entirely non-marital may completely lose that identity, becoming wholly marital. Alternatively, if it has characteristics of both, any enhancement in value would be divided, but the main asset would remain with the original owner. the valuation date set in a settlement agreement. When judges look at this issue, they tend to focus on the reason for the change in value, and give earlier dates if the change was based on the efforts of one party, or a later date (often the first day of trial) if market forces are the primary mover. 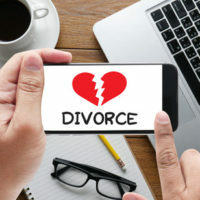 The valuation and division of assets is an issue that will impact the rest of a person’s financial life, and should be handled by an experienced divorce attorney to ensure you get a fair and accurate result. The Orlando attorneys at the Donna Hung Law Group are here to protect your rights and fully represent your interests in all divorce matters. 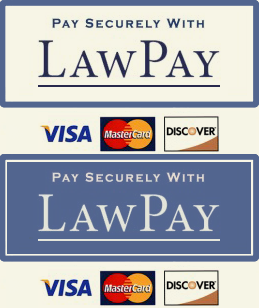 Contact us today at (407) 999-0099 for a confidential consultation.